I’ve had this here cowl scarf for about 4 years. I loove it. I wear it all the time and you can tell by the photo that it has been well loved. I’ve always known that this would be a really easy project but never pushed myself to make one because I already had this one which was so neutral. 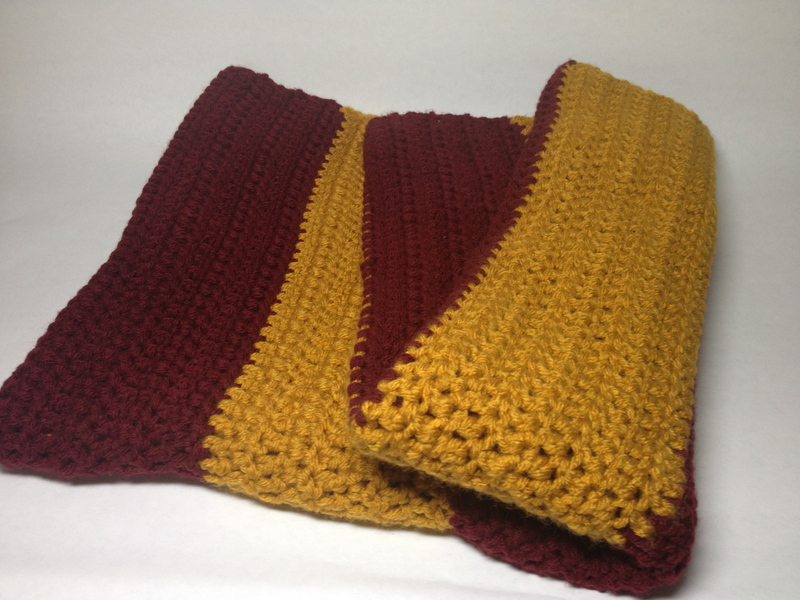 I finally gave myself a reason to make a new cowl. Two words HARRY POTTER. 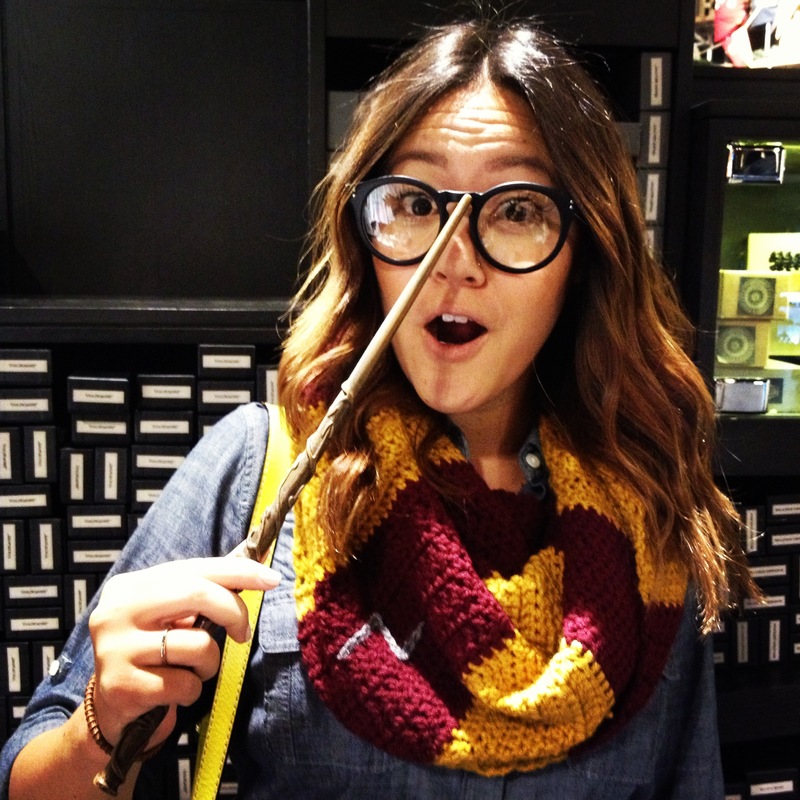 This summer I went to London and the nerd in me was REALLY EXCITED to go on the Harry Potter Studio Tour. Probably the highlight of my trip…ok Stonehenge was a close second. 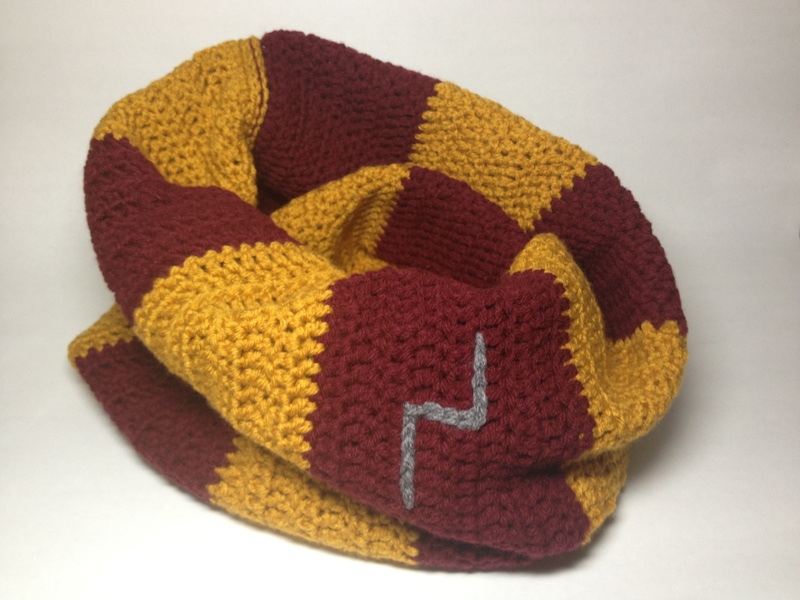 I knew that I wanted to have my very own Gryffindor scarf and I didn’t want to spend $75 on it. As I mentioned in my “about” page I like to deconstruct items in order to create new ones. I didn’t have to take apart my cowl to figure this one out. 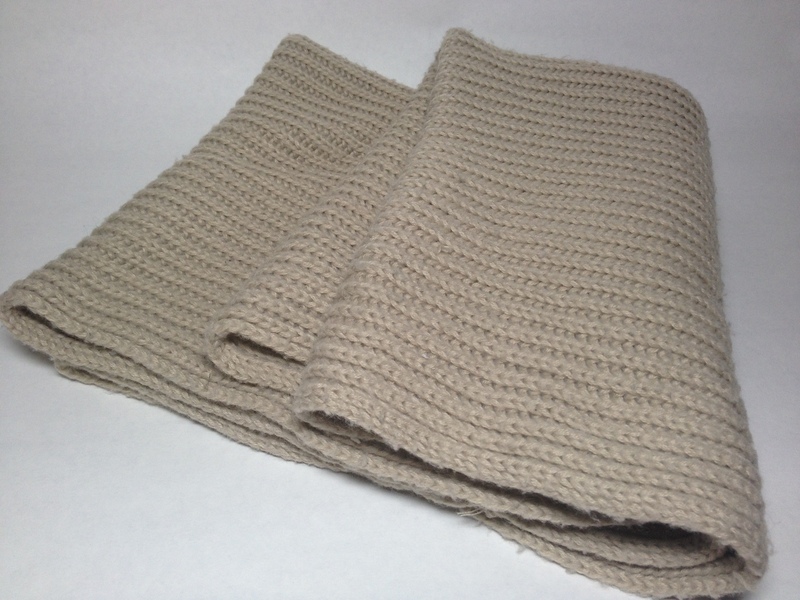 I simply crocheted (of course) a 32×40 rectangle, stitched together the shorter sides of the rectangle and tah-da…a perfect cowl! nobody had the same one AND I only spend $10! I win. please note the Harry Potter scar…it’s the little things that get me excited. ooh la loo! I also bought these glasses at forever 21 for $4 instead of $15 at the gift shop. Nice! It’s all about the lightning scar! !